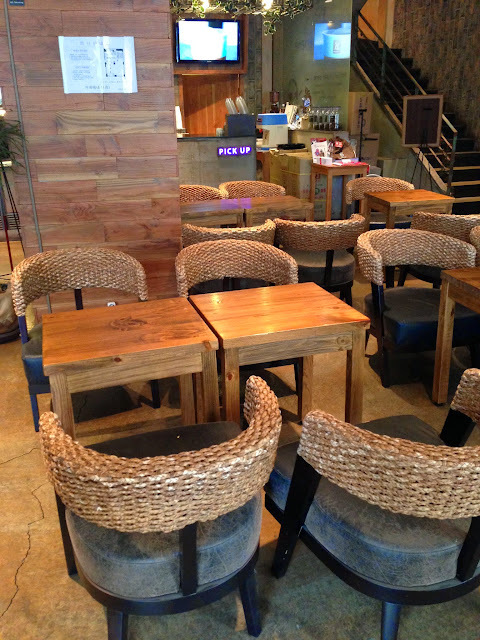 There are so many cafes in Seoul. In some places like Samcheong-dong or Garosu-gil, it’s literally 1 cafe for every few steps you take. It’s puzzling how all the cafes can survive together, side by side, whether independent or not. The coffee chains especially, are always bustling, though never packed to the brim (unless you are referring to those near the touristy areas like Myeongdong and Dongdaemun). Generally, I find that most of the cafes focus on theme rather than substance. Nothing wrong with that of course. It’s fun to just rest the feet and enjoy the pretty decor that someone put a lot of effort into. Can’t really go wrong with Americano anyway since it’s so diluted. 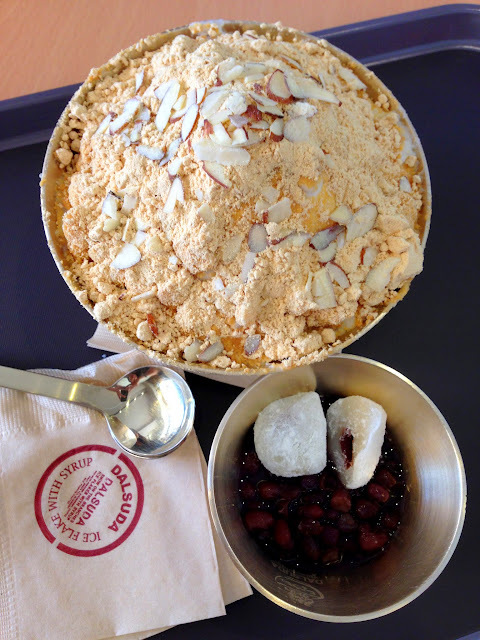 Since it’s summer time, patbingsu (the korean version of our ice kachang) is a very popular treat that is offered by virtually every coffee chain. 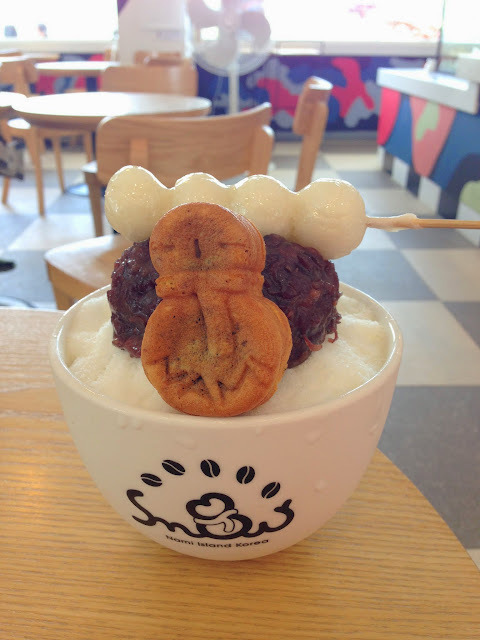 The basic version is shaved ice + red bean+ condensed milk+ mochi+ milk+ multigrain powder (or misutagaru, ground grain powder. The grains used include sesame, rice, barley, beans etc). The friends and I are very fond of this multigrain powder so we usually go for the traditional patbingsu. But most cafes offer a wider range to cater to different tastes. 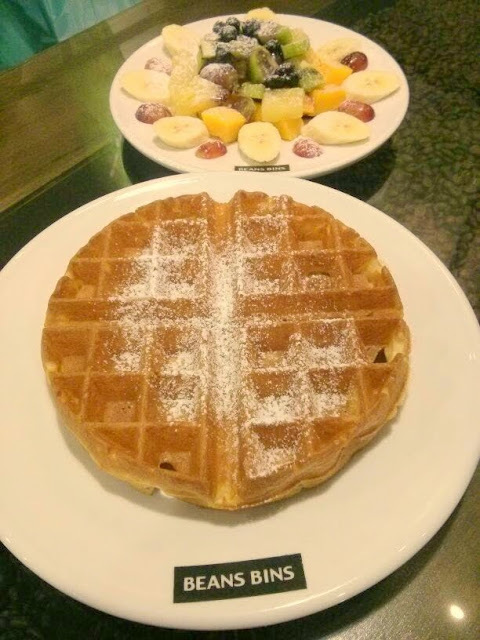 Another popular item in the menus is waffles. 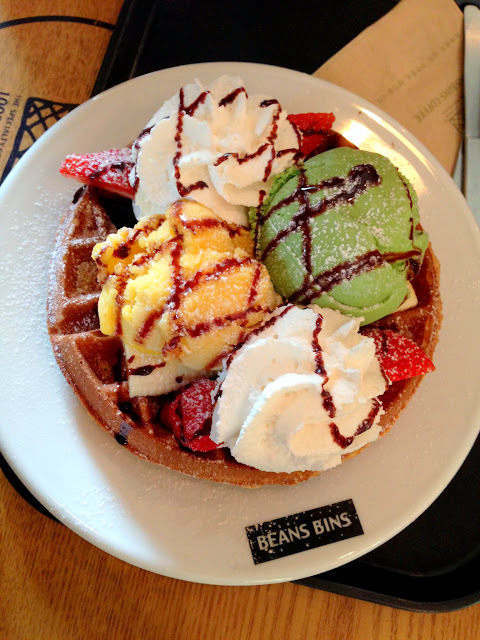 I love how the koreans have an obsession over waffles. They do it so well even on the streets! During our first few days in Seoul, we stayed in a traditional Hanok at the Bukchon Village area. This area is near Samcheong-dong which has tons of cafes. 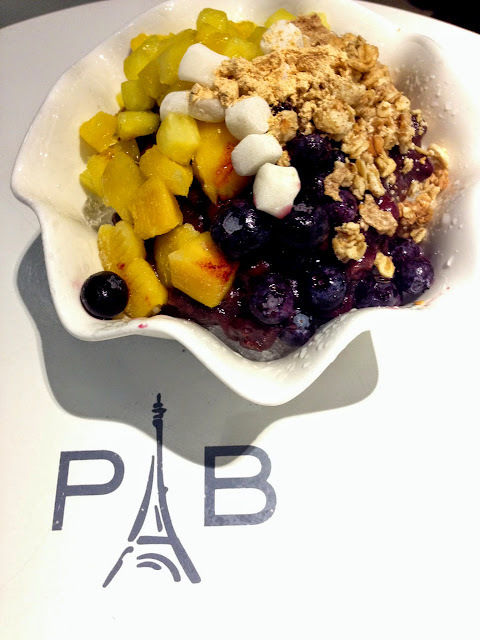 Dalsuda was the first place we encountered patbingsu and we fell in love with it instantly! The shaved milk ice was so fine and soft, loads of multi-grain powder to keep us happy, and enough red bean to leave us satiated. Easily the best patbingsu we had on the trip. 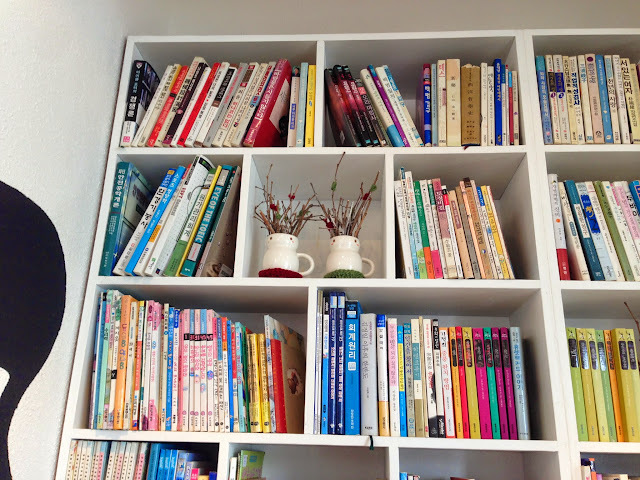 We had Beans Bins at Ewha Uni, and Garosu-gil. Cafe LEC at Garuso-gil had pretty good coffee. Our drinks weren’t made by their award-winning barista but as I said, I can’t taste the difference anyway! 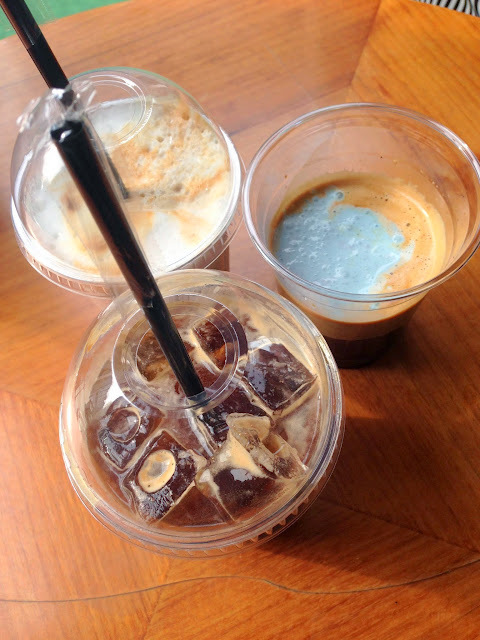 That said we all agreed that the Americano had a lot more flavours going on than the regular bitter stuff we get from random cafes en route to the subway every morning. We found their black coffee combinations quite interesting. They have black & white (long black + cream), black & yellow (long black+ egg cream), black & pink (long black + strawberry cream) etc. The friend got black & blue (long black + blueberry cream). Not a bad combination! And quite pretty too. Cafe LEC is just a little further down a side road off Garosu-gil. Turn when you see Beans Bins. 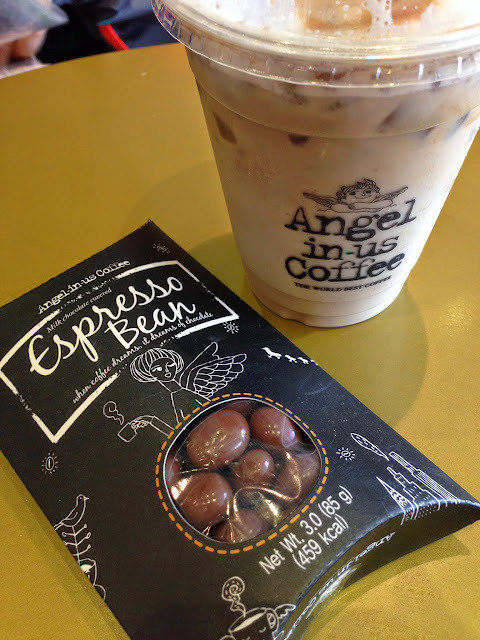 Angel in-us Coffee is everywhere. We liked their chocolate covered espresso beans but their waffles were quite terrible. Very limp and the ice cream wasn’t great. We still finished everything though because we were so tired from our hike. It felt great to laze around in the spacious outlet outside the Cheongjiyeon Falls (Jeju). 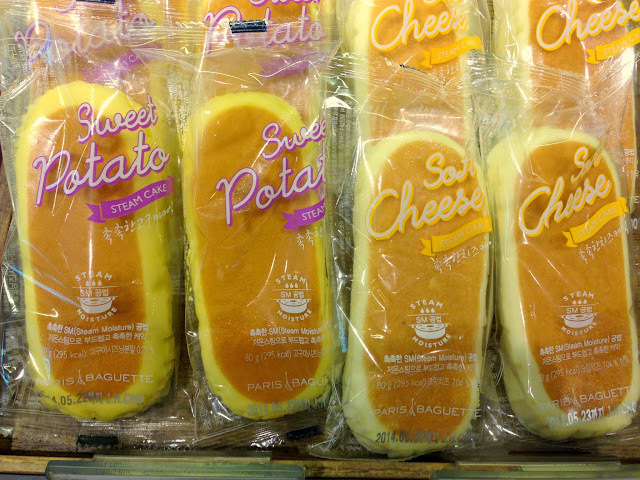 Paris Baguette had a line of patbingsus for sale too and we definitely didn’t want to miss out on their goodies. We all liked the crunchy granola and the refreshing mix of fruit in our bowl. 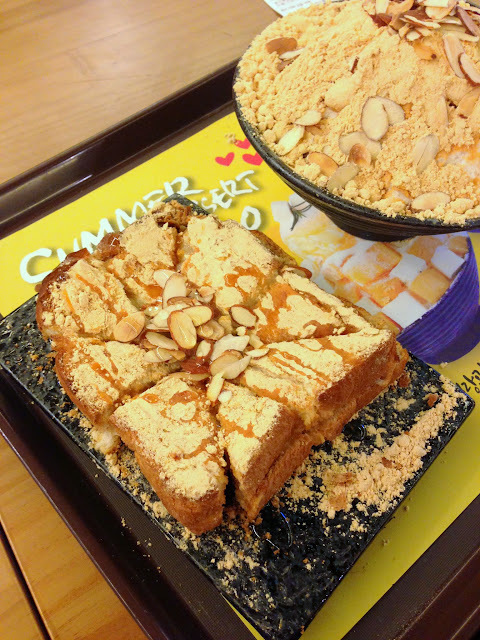 We also tried their sweet potato steamed cake and walnut tart and became instant fans. I liked how the natural flavours were very pronounced without much help from refined sugars. Light and not too sweet. On our last day, we spent our remaining won on steamed potato cakes. But you should have seen the other tourists. They were swiping those cakes off the shelves! A pretty scary phenomenon. 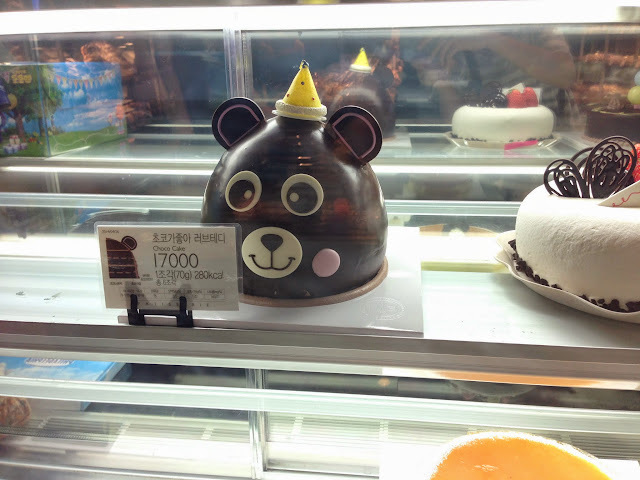 I want this cake for my birthday!! We got a couple of weird looks when we ordered this for breakfast haha. Visited Coffine Gurunaru in Busan. 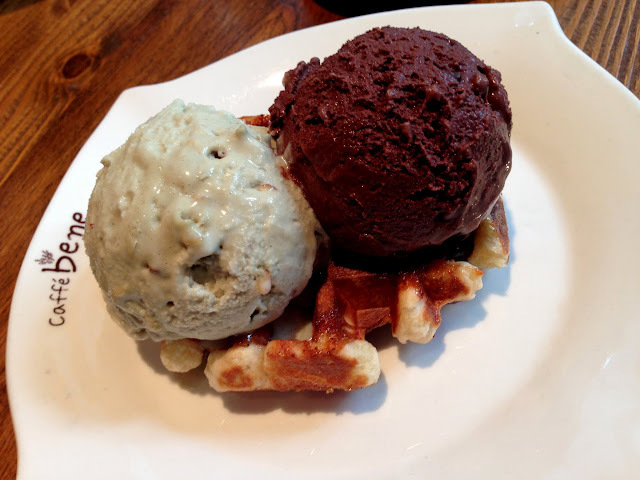 The ice was way too gritty though the generous scoop of red bean was very welcome. There was also simply not enough multi-grain powder to go around. Fortunately, we managed to get a more generous shower of multi-grain powder halfway through. The friend is crazy about cinnamon. Back home, she likes starbucks because they can customize her drink by blending the cinnamon into the milk for her latte. Apparently it tastes different from just sprinkling the cinnamon powder on top? Anyway, this reinterpretation of cinnamon latte was quite pleasant. 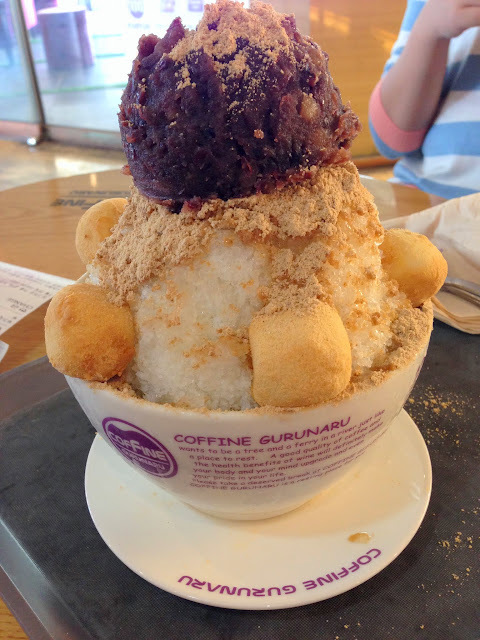 Sulbing is one of those cafes that serves bingsu even in the winter. Their toast had a sticky layer of sweet mochi in the middle and as you can see, they shower everything with multigrain powder goodness. Their patbingsu was pretty good, very close to what we got from Dalsuda but we preferred the milk shaved ice from the latter. This outlet was near BIFF Square at Busan but I saw other outlets within Seoul. Visiting Nami Island turned out to be a very exciting part of the trip. I’ll talk about this another time! After a satisfying meal of cold noodles (another summer specialty) we settled for some bingsu at the Snowman Cafe before we finally ziplined to Nami Island. This is right where the ferry terminal for ferries to Nami Island is. The snowman pancake was cute but the red bean wasn’t evenly distributed or generous. Overall, the bingsu was quite average but when you are on holiday, and the weather is hot, bingsu is happy food! 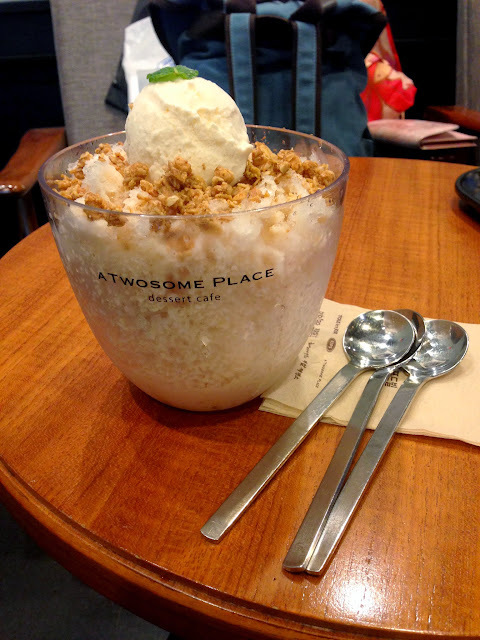 We visited A Twosome Place in Myeongdong many times because it was near our guesthouse. 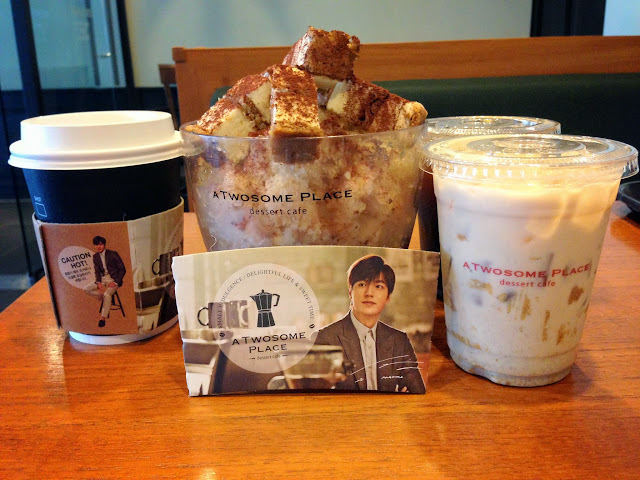 We were first attracted to the place because the friend is a fan of Lee Min Ho…. I got reprimanded for throwing his face away when I had my first Americano from there. It was honestly unintentional. There is a decent variety of cakes which looked well made (I had my eye on the chiffon cakes but sadly, we didn’t have time. Royal milk tea chiffon and sweet potato chiffon sound good right?). 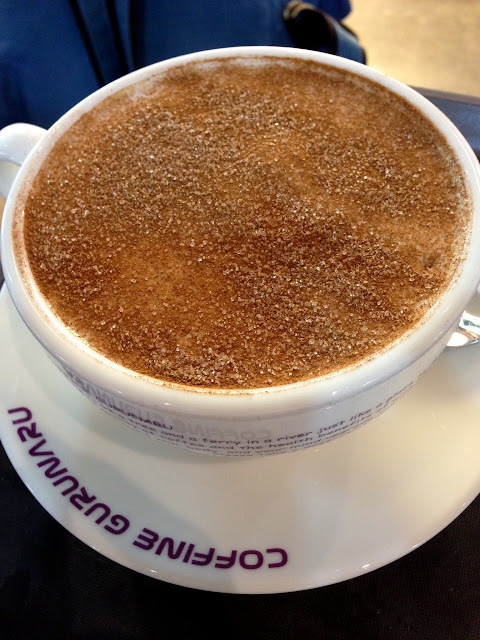 There are also interesting drinks like multigrain latte or ginseng latte. The friend tried both and she liked them. We had their tiramisu bingsu, and royal milk tea bingsu. We preferred the latter because the half melted remains tasted like an intense milk tea frappe. Delicious stuff. 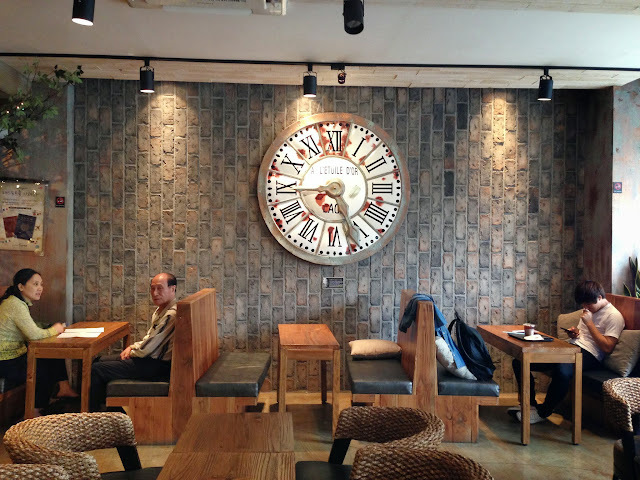 One of the prettier cafes we went to was caffe bene near lotte hotel. The one at myeongdong was messy and dirty because of the high human traffic. In contrast, this outlet is like a little oasis amongst the crazy traffic outside. 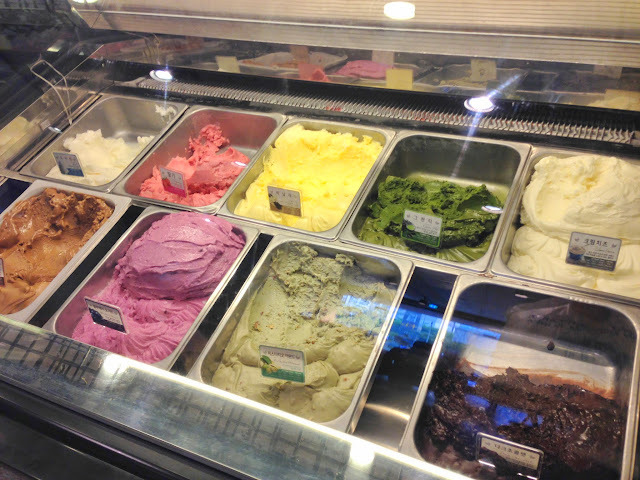 The gelato they have at caffee bene is very good. Flavours were strong and pronounced and the texture was dense and silky. 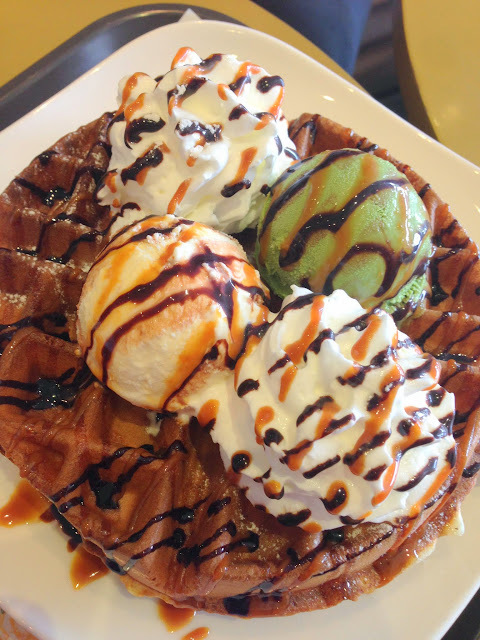 Our liege waffle was overcrowded by the gelato haha. On hindsight, it would have been more economical to just order another waffle with ice cream! The double chocolate ice cream is less sticky as compared to awfully chocolate’s hei but it’s very chocolatey because they also blend dark chocolate bits into the gelato. I liked their pistachio almond but the friends didn’t like the almond essence in the gelato. The liege waffle is pretty good but it’s not very different from the liege waffles you can get from starbucks. I still prefer the lighter, made-to-order belgian or north american versions. I’m not sure when is the next time I’ll be in Seoul but I’m missing the place already! It helps that the friends and I get all excited and happy with the simplest banchan. We didn’t even have much grilled meat because we are veggie and sugar monsters. If work permits, maybe I’ll return next year in autumn?